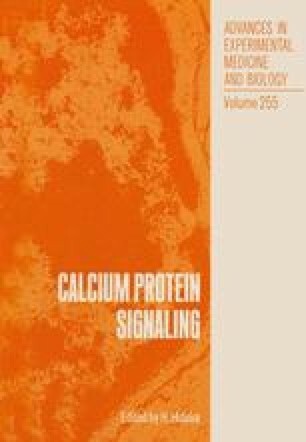 Protein Kinase C (PKC) plays an important role in the regulation of cellular responses to external stimuli (reviewed in 1). Inactive cytosolic kinase translocates to the membrane in response to the phospholipase Cmediated release of diacylglycerol (DAG) and mobilization of Ca2+. Treatment of cells with phorbol esters, a potent class of tumor promoters, also causes a translocation of kinase (2,3). Once active, PKC phosphorylates a large number of both membrane and cytosolic proteins (1). It is unclear whether these phosphorylation events occur at the membrane, or whether the kinase is released from the membrane subsequent to activation.